Slifer only had 2000 ATK but his last effect is pretty good aswell, gotta love that Hardened Armed Dragon effect too. What is this sorcery? You need to duel me with that deck Heaven...I think I might actually make somethin like that dealing wit malefics. 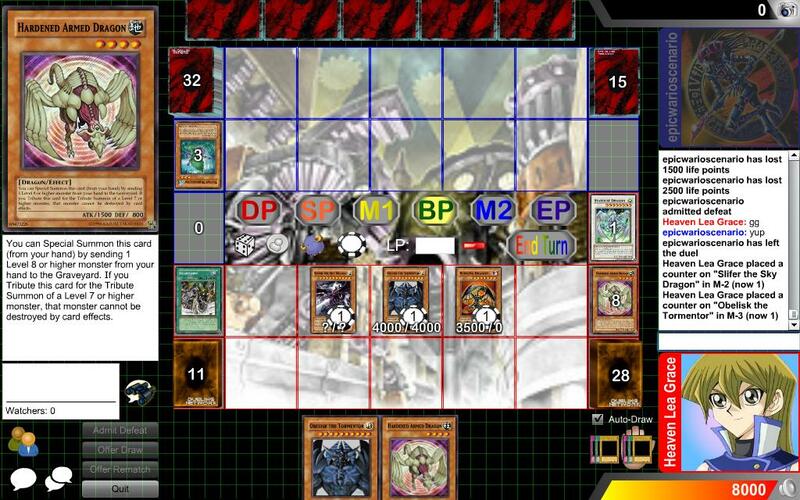 Sorry Velud but I will never duel you again willingly, you make me sick, you may be a really decent duelist but you are too up yourself and just a smartass all the time, maybe when you grow up and learn some manners I will change my opinion on you. You remind me of old chewing gum on the footpath that I stepped on and can't get off my shoe. im too up? pffft. and being im hardly a smartass at [i]any[i] times. Me grow up? Ha....you don't even know my age yet your talkin to me like your all wise. faq outta here wit that. PFFT, Whatever little BOY, if you are so grown up then act like it! some of the younger people in this acad have ten times more class than you!